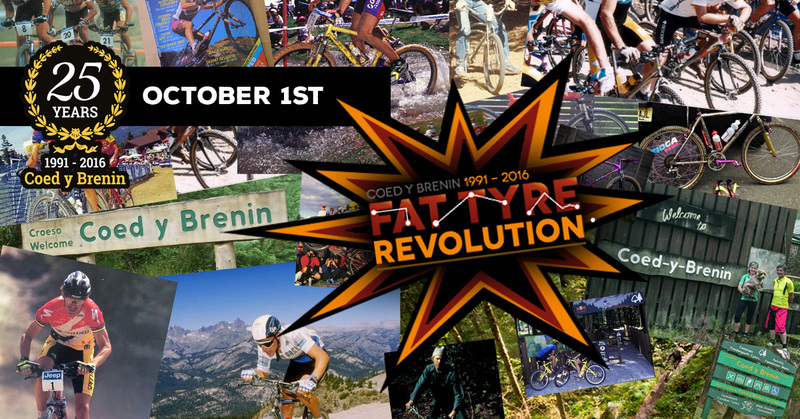 Fat Tyre Revolution is part of the Coed y Brenin 25th anniversary celebration weekend. All participants completing the course will receive a very special 25 years Coed y Brenin commemorative pint glass and specially brewed celebration event ale. If you were not lucky enough to win a space then you can still ENTER FAT TYRE REVOLUTION RACE, entry is only £10 and includes the chance to ride some classic mtb trails in great company, plus the unique event memento mentioned above.